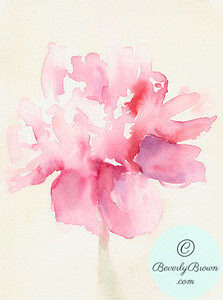 Watercolor painting of a pink peony. © Beverly Brown. All Rights Reserved. 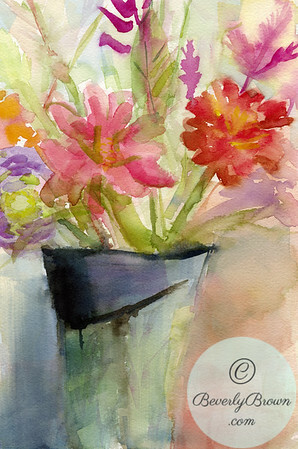 A colorful, impressionist style watercolor painting of a vase of zinnias. © Beverly Brown. All Rights Reserved. 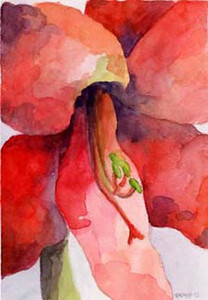 Watercolor painting of a red amaryllis © Beverly Brown. All Rights Reserved. 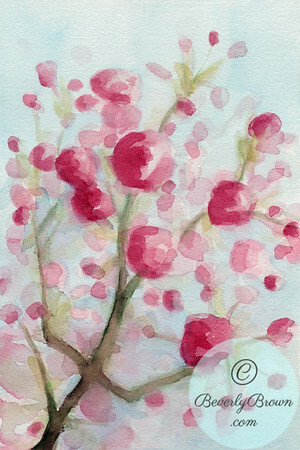 A close up view of blossoms on a blooming cherry tree in the spring, against a blue sky. Watercolor on paper. © Beverly Brown. All Rights Reserved. 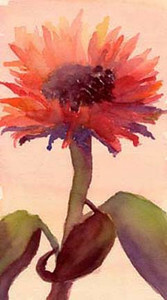 Watercolor painting of a red sunflower. © Beverly Brown. All Rights Reserved. 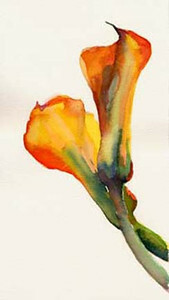 Watercolor painting of orange calla lilies © Beverly Brown. All Rights Reserved. 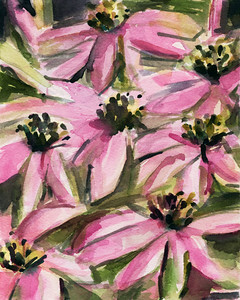 A watercolor painting of purple coneflowers. 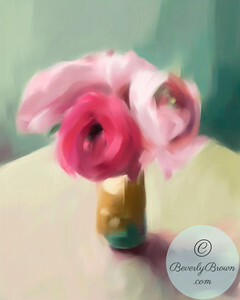 A digital iPad painting of pink Ranunculus flowers in a vase. © Beverly Brown. 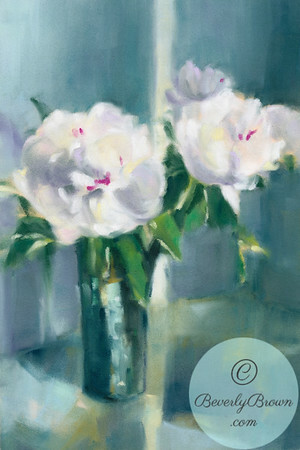 A pastel painting of white peonies in a vase on a teal, violet and ochre background. Copyright Beverly Brown. 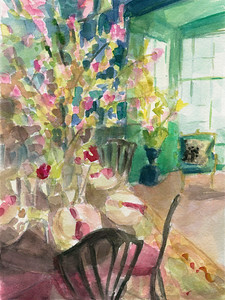 A watercolor illustration of a green dining room with a bouquet of cherry blossoms. Copyright Beverly Brown.